Step1. Follow the highlighted SPRO path and open the sales document type. Step2. Double click on the Sales Doc type : OR. Step3. So a Delivery type is attached to the sales document type. Step4. Follow the SPRO IMG path to create a delivery Type or launch the TCode- OVLK/0VLK. Step5. 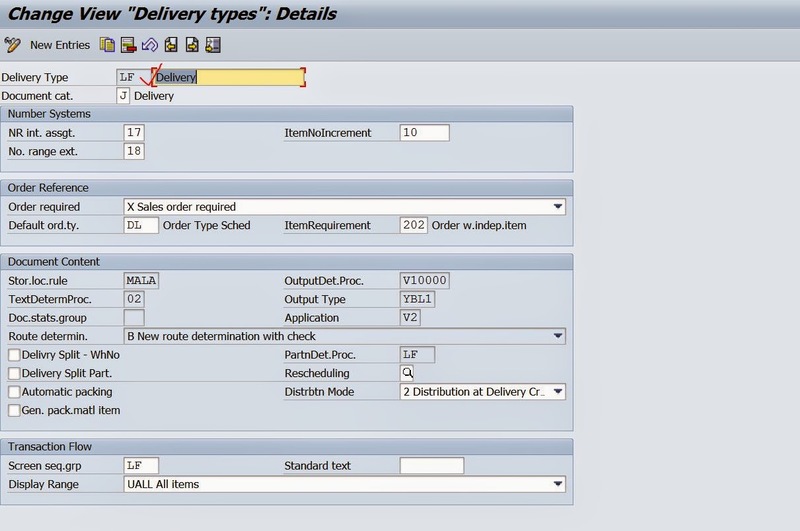 Double click on the delivery type LF. Step6. The below details are assigned to the delivery doc type LF. Go back to create a new delivery doc type. Step7. 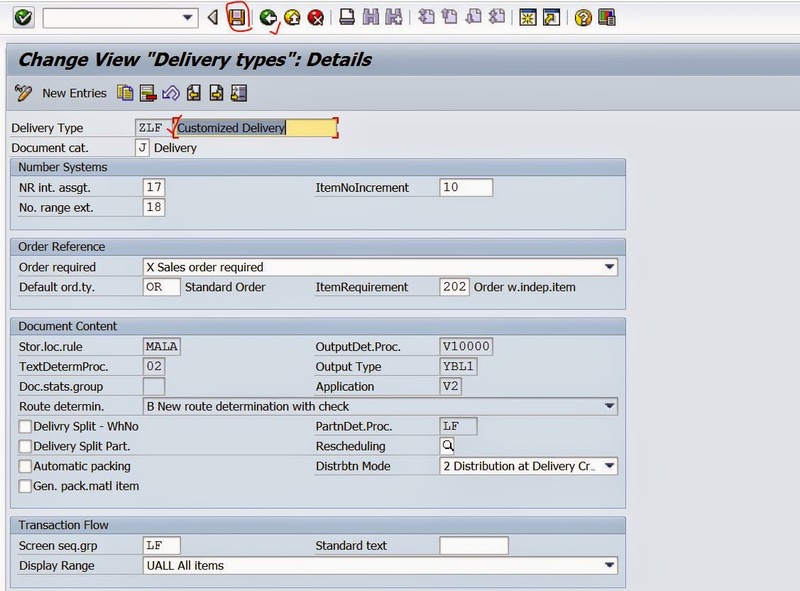 Select the Delivery Type LF and click on the copy button.